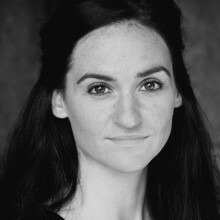 She grew up in Edinburgh and has a soft Edinburgh/lowlands accent which is considered neutral for voice-over. She is an experienced Scottish actress and voice-over artist with a soft lowlands accent. Her versatile voice can be warm, husky or clear and has a wide age range from teens to 30s. A character actress; she was chosen to be the voice of the Cutty Sark Ship Reopening at Greenwich, London. She completed narration, directional voice-over and interactive videos in character as the young witch Nannie from Robert Burns’ Tam O’Shanter. She has also produced voice-over work for commercials, theatre and book narration in a variety of accents and styles. She also speaks Spanish and German and has extensive experience in children’s narration and storytelling having worked for years as a children’s Drama and English teacher in Seville, Spain.